This summer, the Center for Creative Connections (C3) is thrilled to have C3 Visiting Artist Ellie Ivanova here to design interactive in-gallery activities in which visitors contribute their visions of home. These perspectives then become part of a larger print created independently by the artist at her studio before finally being installed back in C3. Get to know more about Ellie and her project below, and stop by the Center for Creative Connections to contribute your own drawing to the project. I am an artist who uses photography, but goes beyond the print. I have lived in several countries (Bulgaria, Latin America, the United States, and Italy) and am grateful for all the people I have met in all the places where I have lived who have shaped my experience. As a researcher pursuing a PhD in Art Education, my special interest is in public pedagogy, which is everything we learn from each other in informal ways outside of a classroom environment and everything we do when sharing experiences through art. Having changed homes myself many times, and living in between two homes right now, I found an affinity with people who are longing for a lost home or dreaming for one. I wanted to see what would happen when all our different ideas of home come together, and what better place to experiment with this than Dallas Museum of Art! It is a participatory print, in which many different small drawings of homes—lost, dreamt, and found—are contributed by visitors on squares of transparency. Using these as photographic negatives, I put together these drawings to print a “neighborhood” of the collected homes on photo-sensitized fabric. I’m using the cyanotype process, an old photo process that has been used through the decades for scientific and architectural imaging along with creative art making. Even though a home is something personal, a place that separates us from the rest of the world, with this project we see how different or similar our ideas of home look like when they are brought together. The simplest drawings have been most delightful! Of course, I enjoy the elaborate, detailed homes done by other artists or others who are invested in the process. But when we have to draw simply, the bare bones of thought show through. I enjoy seeing how our basic image of what a home is can translate into being something so creative. Last month, our first C3 Visiting Artist of 2018, Timothy Harding, began his participatory installation in the Center for Creative Connections (C3). We’ve enjoyed watching the project grow as Harding adds new contributions to the installation biweekly. Learn more about the artist, his process, and his experiences at the DMA. I’m an artist based in Fort Worth, a die-hard Dallas Stars fan, and proud owner of a cat named Clyde. When not cheering on my team, I work in my studio and teach at Tarleton State University in Stephenville. Recently my practice has been confined to the studio with no outside collaboration. I was interested in coming up with a project that would allow me to collaborate with others and open the opportunity to explore methods that I have not previously used. This is the first project I’ve done that is almost entirely digital in execution and produced with people who I never directly interact with. I’m excited to see how this might impact my practice moving forward. The installation is a site-specific line drawing made up of hundreds of individual marks. This ongoing work is produced from scribbles and gestures left by Museum visitors on an iPad. Visitors leave their mark in a program and send it to me over the creative cloud. From there I make a couple of slight alterations to the file and cut them out via laser cutter in varieties of gray, black, and white paper. After cutting, I visit the Museum and add to the installation. The marks are layered in a manner that allows each to be noticeable while working together to produce an intricate whole. I can’t say I have any specific favorite marks that have been sent yet. What I have found most interesting about this project is the number of unique marks I receive on a daily basis. Earlier projects have used my own scribbles, which are very familiar to me. It’s refreshing to find new marks and think about the decision making of that viewer without knowing who they are or anything about them. I’ve enjoyed interacting with Museum-goers. I had the opportunity to give a presentation to an engaged group of people about my work and this project. That was a very rewarding experience. Other interactions have been more casual and occur during installation. People of various ages, from children to adults, seem curious about the project and what is happening. It has been fun to have casual conversations with them and solicit their contributions. 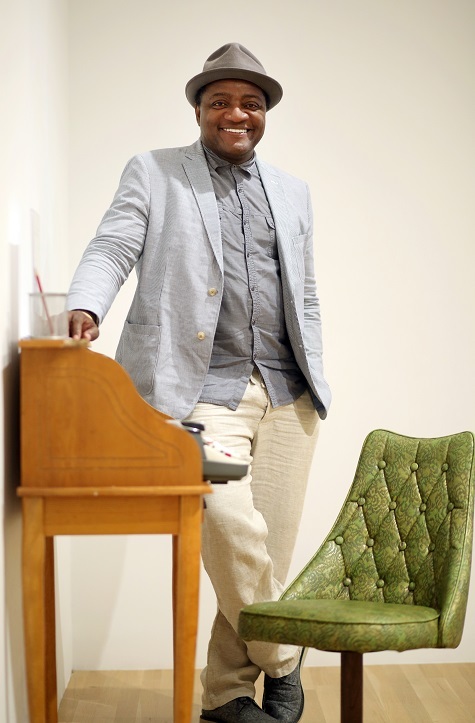 C3 Visiting Artist Timothy Harding will lead a Teen Tour and a Teen Homeschool Workshop in April. Learn more about upcoming Teen Programs here. 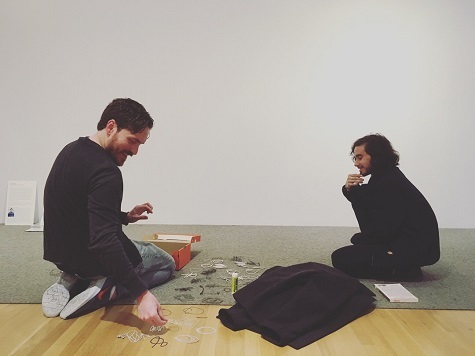 This spring in the Center for Creative Connections, we invited C3 Visiting Artist Christopher Blay to work with us on a new design for our in-gallery activities. We hope you agree that our time was very well spent. Meet Christopher here and learn more about these imaginative and reflective activities designed for visitors of all ages. I am an artist, and I curate exhibitions at Tarrant County College. I also review art locally. I enjoy the process of making, and create installations that reflect a sense of place. I see value in art that meets both the artist and their audience where they live. I thought it would be an interesting way to share my ideas with audiences, outside of a curated exhibition. This was about creating a space for reflection, and saying the things left unsaid, in that moment of reflection. Tell us about the activities you’ve created in C3. I created three rounds of participatory activities under the project name Machines for Intangible Communications for the Visiting Artist Project (sketches above). They all revolved around the idea that some of the things we want to say can no longer be heard by the people we hope are listening. Part A presented visitors with a desk, a typewriter, some writing materials, and a mailbox. Part B had walkie-talkies and satellites to relay what was spoken. Part C is a phone booth and a Morse code machine for dialing and relaying messages into the void. In each iteration of this project, visitors could reach out and say the things they wish they’d said to themselves, or others. It was a way of expressing the thoughts and words we’ve always wanted to express. Do you have any favorite visitor responses you’d like to share? I do. There was a man from Turkey who lost his grandfather when he was about a year old. He told me that it was difficult to speak into the walkie-talkie because he was suddenly at a loss for words; however, when he did speak, he thanked his grandfather for the gift of life, and wished that he was present to see his current life. It was a beautiful moment that I was happy to share with a stranger. I enjoyed being able to make a gesture in a space for art that reflected real experiences. I was inspired to build these machines out of a sense of longing and personal loss, and from stories about loss. This is a human experience and one that I hope connects with visitors. I wanted to build an impossible bridge that maybe a whisper could cross. Visitor responses from Machines for Intangible Communications Part A. Join C3 Visiting Artist Christopher Blay for the Teen Workshop Revolutionary Prints on Saturday, June 24, from 1:00 to 3:00 p.m. The workshop is for ages 13-19; all materials are provided, and no prior experience is necessary. The cost is $8 for the public and $5 for DMA Members. Last month, Janeil Engelstad, our first C3 Visiting Artist of 2017, embarked on a journey of exploring the collection and creating an in-gallery experience for our visitors. Meet Janeil and learn about her project, which will debut in March 2017. The ocean and trees ground my Spirit. New York, Chicago, LA, San Francisco, Seattle, Sun Valley, and Bratislava—I carry the experiences of the places I have lived within and they continue to feed my work. My foundation is Gratitude. My practice is Kindness. Tell us about the project you’re working on. Inspired by Geoff Winningham’s photographs currently on view in the Center for Creative Connections (C3), I am developing a project that investigates and positions narratives that the viewer might not think of when looking at a work of art. 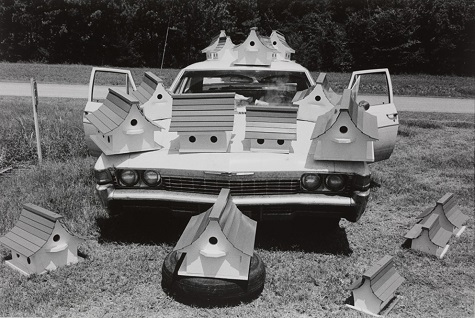 For example, there is a photograph of birdhouses on a car. What can this tell us about housing or migration? How can either one of these topics then inform an investigation of another work of art in the DMA’s collection? And how can questions that I pose through a tour, or a set of postcards developed in response to these investigations, inspire the viewer to think more broadly about the world? The process is enjoyable—moving from one idea to another, thinking about the material aspects of the project. Also, I literally looked at every work of art in the permanent collection that is currently on view. My knowledge expanded and my curiosity led me to research many different things. One time I was in the Museum’s library for an entire afternoon. That was a wonderful luxury, as I haven’t made time to be in a library for so many hours in several years. Growing up, I spent a lot of time in my school libraries and in our neighborhood library in Seattle. In college and in graduate school, I spent many hours in the various libraries on each campus. I love the quiet, vibrant energy of a library—all the wisdom and knowledge contained on those shelves. When I can, I will take that over researching on-line any day. Late Night Tour: More Than a Photograph, Friday, February 17, 6:30 p.m.
C3 Visiting Artist Workshop: Mapping Your Environment, Friday, February 17, 8:00–10:00 p.m. Teen Workshop: Telling Stories Through Art, Saturday, February 25, 1:00–3:00 p.m.
First Tuesday: Storytime, Tuesday, March 7, 11:30 a.m. 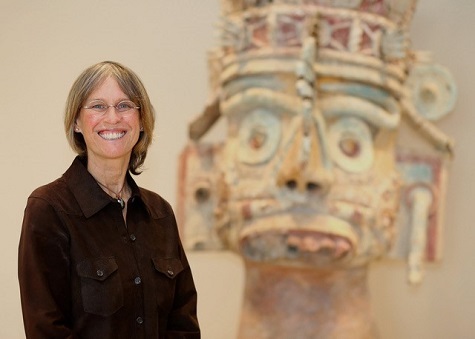 Through the C3 Visiting Artist Program, the Center for Creative Connections invites local and national artists from a variety of disciplines to participate in the development and facilitation of educational programs and spaces offered at the DMA. Most recently, we invited conceptual artist, educator, and co-founder of Preservation LINK, David Herman, to lead the January Late Night Art Bytes program and create content for the #DMAdigitalspot, the video display wall in our gallery. 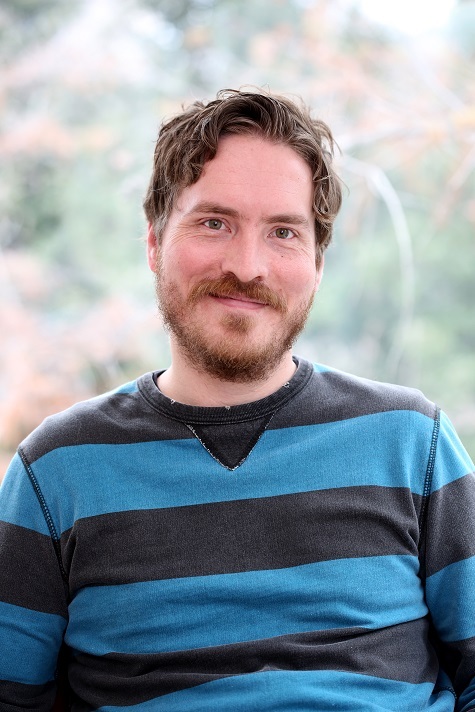 David is currently a Ph.D. student in Visual Culture Studies at the University of North Texas, and I sat down with him to talk about his work. That’s always an interesting question to be asked. I am a fairly mild mannered individual who appreciates the idea of careful consideration. When I reflect on my work, my friendships, and the things I’m most fond of they all seem to ascribe to this notion in one way or another. Life is most interesting when I’m able to engage with the surface of things to gain insight on their complexities. Most of the time this requires a sort of “pulling back” so that the richness and value of things can begin to show themselves. For the January Late Night, you hosted Late Night Art Bytes, which highlights how artists use art and technology. You led a drop-in experience where visitors responded to prompts about the state of the world today and the future through collaborative collage. Technology came into play through your documentation of the night. You photographed the collages as they evolved over the course of three hours and those images were displayed on the #DMAdigitalspot monitors. What was the inspiration for this program? A large part of the inspiration, from the very beginning, was the idea of “shared thinking.” Collaborative work is an interest of mine. Ideas are always enriched when there is divergence and an openness to let things evolve into themselves. I really wanted to use aspects of collage and mixed media that involved visual culture, images from our contemporary mass-mediated lives such as magazines, to have a conversation about the world we live in. How does this visual conversation fit within the bigger picture of your work? Well, I like to think about how people “see” the world. How people use visual content to interpret and understand context. We live in such a visually stimulated society where most of the information we experience–as creators or consumers–comes in bits and pieces of imagery. Images are embedded throughout our lives as a sort of “hyper” extension of what is real and what is possible. The Late Night Art Bytes conversation really provided me with an opportunity to experience how people respond and share their views of the world through the visual culture “art-i-facts” they created. It was their attentiveness to all the various images and materials that confronted them that I found most useful to how I think about my own work. My current work is all about “looking” and “being with” images. I am interested in how individuals contend with all the images they have to manage at every juncture of life. It is certainly an interest in visual literacy, however it goes well outside of just literacy. It really is about our attentiveness to the images around us and what images are seen and which ones go unnoticed. Today images seem to have a life of their own in very unique ways. Often, contemporary images are sensationalized as a method of gaining our attention. Selfies have to be staged, colors have to be super vibrant, and images have to “appear” when we demand them. I’m not opposed to the hyper-ness of our contemporary mode of apprehending images (or images apprehending us), however I do believe that this kind of “being” with images leaves us with less opportunities to experience the natural world. In other words, seeing and being with “everyday” images become a part of a background noise that we become inattentive to. They become a part of an obscured view – and with that we lose a little bit of humanity. What do you think visitors got out of the experience? What did you gain/learn from hosting this program? The Late Night experience was exciting. I didn’t have many expectations, really. A part of the night was about seeing how visitors accepted the space, the materials available to them, and the project at hand. There was a wide swath of diversity that entered the space. I really loved the way that the visitors took their time in the space. The Tech Lab became a relaxing space for the visitors to listen to music, enjoy each others company, and create art. There were several visitors that returned to the space towards the end of the night to see how the visual conversation had progressed. I believe that this was significant as it spoke to the level of engagement and curiosity about what and how others had addressed the prompts: The world today and the future world. For me, the pleasure was seeing how the visitors committed the time and attention to add their voice to the conversation. Tell us about your plan for the #DMAdigitalspot. The wall monitor is a digital installation that will be comprised of photographs, manipulated digital images, and videos. It is a visual exploration of interpretative narrative. I am most interested in creating an opportunity for all visitors to the Center for Creative Connections to experience different ways of looking and being with visual language. Stop by the Center for Creative Connections in February to see how David Herman transforms the #DMAdigitalspot.